I’ve never been much of a “dirty” person. In fact, I much prefer living in the city… the lack of dirt and abundance of Target stores sells me on the need for city life. Lately, I’ve felt a rustling, a changing at my very roots. I blame the flock of nine hens roaming my city backyard. Those egg-layers are slowly turning my heart from “I need paved roads and a Target shopping trip” to “Give me the country and maybe a cow.” Crazy, I know! My longing for land, a large garden (despite my black thumb), chickens, and even a cow has awakened. Dustin’s not fully there, yet. I’ll give him some time. Of course, every good country gal (or wanna-be) needs a garden…rows of fresh veggies, an orchard, and window sills lined with herbs. Each season I set out to build such a garden (minus the orchard). Our garden consists of a thirty-foot-long raised bed, packed with life-giving dirt. It’s the perfect garden size for a city dweller. Over the past couple of years it’s enjoyed a fair share of success and failure. Really, if I’m honest, much more failure than success. I’ve learned gardening is all about: planning, strategy, patience, and diligence. It’s much more than just planting a seed and reaping an edible harvest. Three years into gardening and I’m finally starting to master the art of growing a few veggies and herbs. I’m enjoying the warmer weather and a bit of dirt under my nails (it’s the chickens’ fault). My focus this season is tomatoes. With the anticipation of summer, I planted five tomato plants late in March (planning and strategy). They are just starting to produce the juiciest tomatoes you’ve ever tasted. Who needs Target when you have tomatoes and chickens? Between gardening and outdoor summer activities, my hands suffer lots of punishment. A price I’m willing to pay for juicy, home-grown goodness. This hand scrub was created after receiving a jar of coconut oil and salt hand scrub for Mother’s Day (thank you, grandma). After just one scrubbing I was hooked. My clean and moisturized hands longed to be scrubbed one more time. Since I’m always thinking of you, my dear friend, I decided to recreate that luxurious scrub and share. Scrubs for everyone! 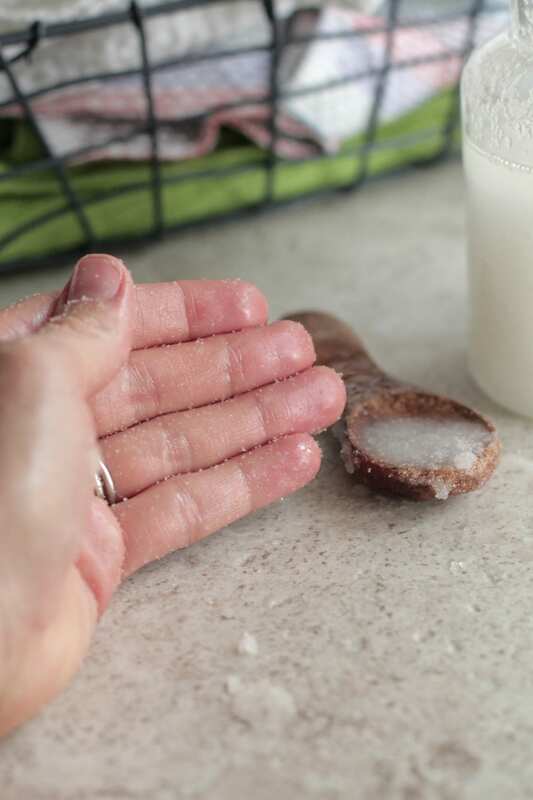 Today, I bring you my new favorite hand scrub (perfect for a wanna-be gardener’s hands) made with just three simple ingredients for the ultimate pampering experience: coconut oil, sea salt, and lemon grass essential oil. 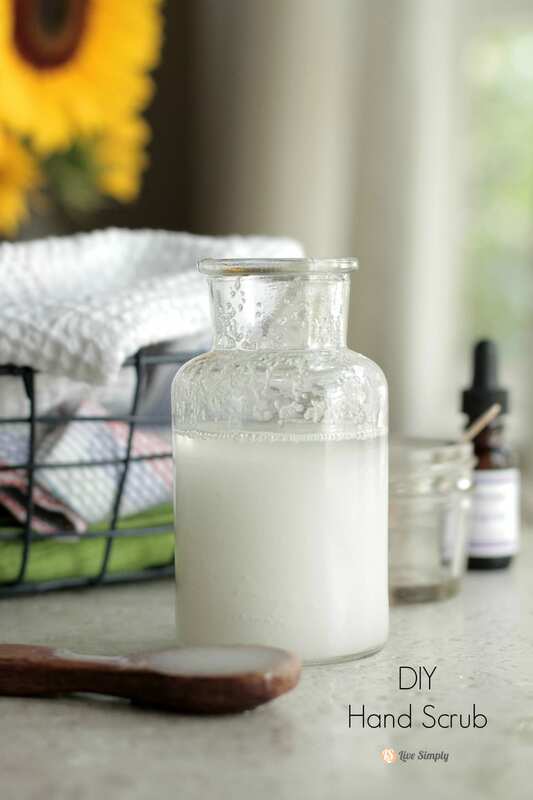 The coconut oil hydrates overworked hands while the salt softens and vanishes dead skin cells. The lemongrass is a personal preference due to its sweet scent, but also works as a bactericidal (AKA: bad-to-the-bone bacteria killer). 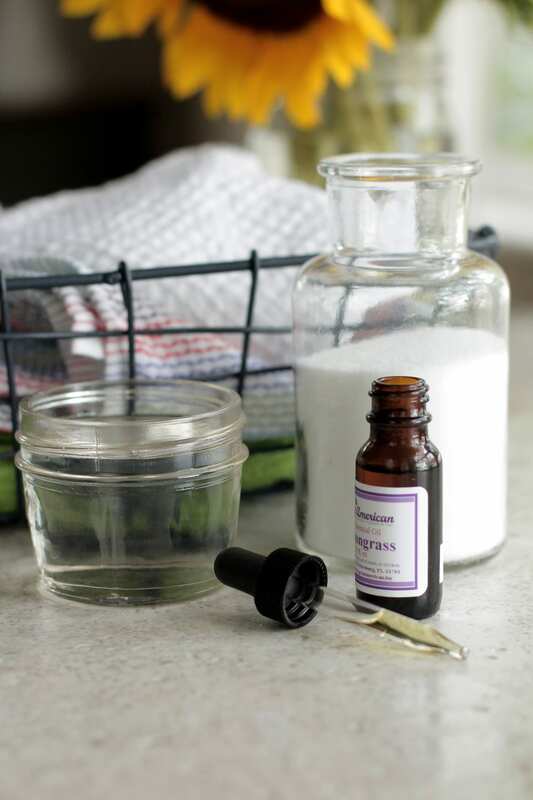 I make two jars of this DIY Hand Scrub, one for the kitchen sink and the other for the shower. I use the scrub once a day on my overworked hands, and weekly on my body. 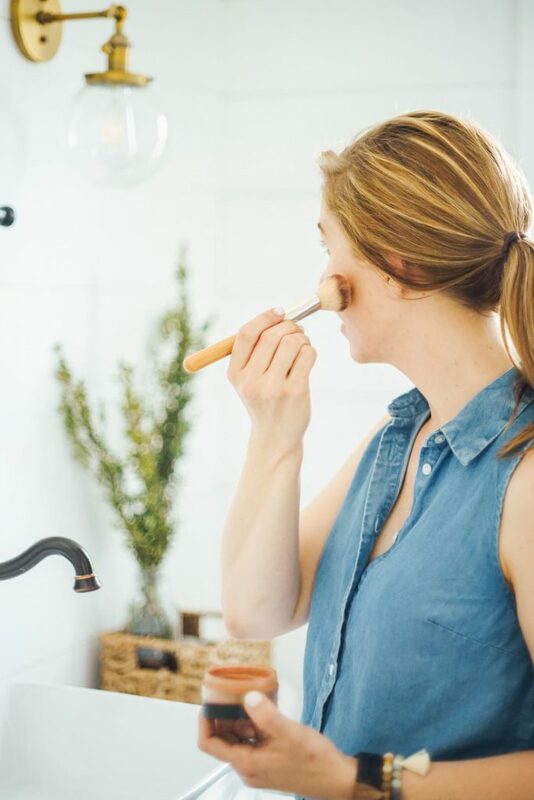 Here’s to getting dirty, knowing a sweet pampering experience is just a scrub-a-dub away. The coconut oil hydrates overworked hands while the salt softens and vanishes dead skin cells. The lemongrass is a personal preference due to its sweet scent, but also works as a bactericidal (AKA: bad-to-the-bone bacteria killer). In a storage jar (I use a glass mason jar), add the sea salt. Pour the coconut oil and lemongrass over the salt. Mix together with a spoon. To use: scoop a small amount with a spoon or your fingers. Rub all over hands (and/or body). Rinse with warm water. I just whipped this up today, tried it out on my hands. Love it! I have tried a brown sugar olive oil scrub on my body and it made my break out in an itchy rash that lasted for a few hours. So far this hasn’t done that. WOOOO!!! Thank you so much for sharing, Terri. I’m so glad you like it. Thank you so much, Allison! That’s such a sweet compliment :). Enjoy the scrub. Btw, I can’t wait to try your coffee creamer. Kristin, I just wanted to say thank you for sharing your ideas — it is like one stop shopping. Having written a blog in the past, I know there is a lot of work involved and I thank you. You have become such an inspiration and thanks for sharing your son’s story. My husband and I adopted 3 children all exposed to meth in utero but our 4 year old was the most exposed and he is having some health issues. Before the children came I use to follow a nutrient dense diet but some how I got back on the processed rollercoaster. We are now trying to make our way back. We know it is best and we have the additional hope that it will straighten out the health issues our son is having as well. Hi Sandra, Thank you so much for the sweet words. What an amazing story you have, and a blessing for your kids to be in such a nourishing (in more than one way) home. I’m praying for you and your sweet family and would love to have you send me an update on how things are going! It’s a blessing to share Piper’s story and see the impact his story is making in the lives of fellow kids. I know your story will be the same way! 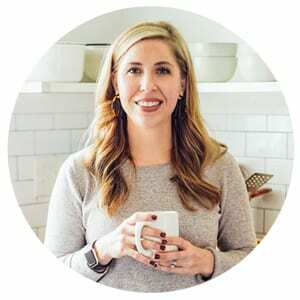 Hi Kristin, I am a new mom and am thrilled to find your site, I am just starting to explore and am already stunned by the literal simplicity and beauty with which you live. 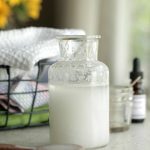 To start I wanted to ask where and what kinds of jars you get for your different homemade bath/beauty products, I feel like it adds to the experience and I haven’t seen it if you have already posted the answer to this before. Thanks so much for writing this blog! Hi Sejal, Congrats on your new baby! I’m so happy you found me :). I buy many of my jars at Home Goods, TJ Maxx, or IKEA. All three stores carry wonderful selections of cheaper glass jars that are perfect for homemade beauty products. I also love mason jars and use them regularly for cooking and homemade products. Hey Dawn, Thank you so much :). I personally love the scent lemongrass adds to the scrub. I find it really rejuvenating, particularly when I use it in the shower. I’ve tried lavender in this recipe and loved it. I bet Frankincense would be great too. I made this scrub today, and it is absolutely amazing!! I am trying to complete a couple of the DIY items you have listed :). Thank you so much! It is a nice feeling to be able to complete DIY’s and be conscious about how much it costs. Thank you so much for your website and ideas. Hey Amber, Thank you so much for writing and sharing. I’m so happy to hear you love the hand scrub! Can’t wait to hear what else you make. Enjoy!! Hi Kristin! I am a DIYer and I just found out your website and I am hooked! I am a big fan of natural/homemade DIYs. Except, I am not rich, and usually the oils and other things are expensive. Do you suggest anything that is cheaper, like real fruits? Thank you so much, and I am anxious to try it out! Hey Emilly, Welcome!! I’m so glad you’re here. I’m frugal with DIYs and after much research I decided to purchase oils from Plant Therapy (planttherapy.com). Their oils are super inexpensive and amazing! Just a couple good oils can make just about any DIY: lavender, tea tree, and orange. And they last a very long time. You can also leave out any of the oils in the recipes and still make great products. Hope that helps :). Thank you so much, Gayathri. It’s a blessing to share recipes and stories here at Live Simply and with such an amazing community. I’m so glad you’ve been inspired and can’t wait to read your blog. Congrats on the new baby to come!! Hi Kristin! I’ve recently found much joy in recreating many of your DIYs. Thank you so much for sharing these on the web. 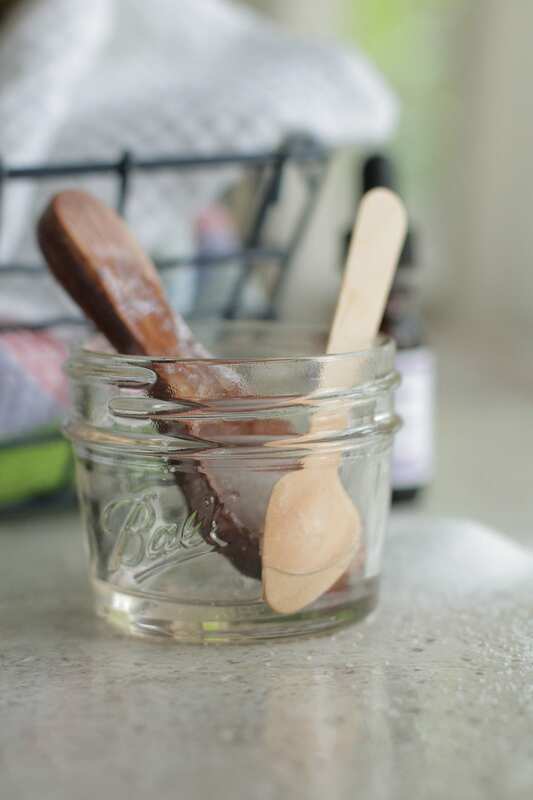 I do have on request, though: where can I buy the nifty spoons like the one you have pictured in this post?? Thanks in advance! Hey Jon, Thank you very much! I found this little spoon at a local arts and crafts festival, but I’ve noticed similar spoons at HomeGoods lately :). I’m thinking of making the hand scrub for Christmas pressies for my Grandmothers and Aunts this year. I was just wondering how gentle or harsh the scrub is? In other words, would it be gentle on my Grandmothers’ skin? Loving all your DIY ideas!! Hey Caitlin, I love the idea of giving this hand scrub as a Christmas present! I think I may add this scrub to my Christmas gifts, too. Yes, I believe this hand scrub will be gentle on your grandmother’s skin. The oil in this scrub makes this scrub super soothing. I recommend instructing her to only use a small amount when scrubbing her hands–a little bit goes a long way. I’m so glad you’re enjoying all the DIYs on Live Simply! Hey effy, I haven’t had an issue with the sugar melting into the liquid with my scrubs. Maybe the key is the type of sugar? Super fine white sugar may be too fine for a scrub. I use a soft cane sugar (like this) for my scrubs. That’s the only thing I can think of. This recipe uses salt which may also help improve your results :).